Her interest in journalism began at a young age and Claudia returned to California with the goal of becoming a bilingual news reporter. It’s a goal she’s beginning to accomplish. Claudia recently graduated with a master’s degree in journalism from the University of Southern California. She also has a bachelor’s degree in communication from U.S.C. Before starting her master’s, she interned with Telemundo where she worked as a field producer for the special assignments desk. Claudia also worked as an executive digital editor for Dímelo, a student-run organization aimed at creating content for young adult Latinx audiences. Dímelo means “tell me” in Spanish, and Claudia said she is passionate about issues that affect Latino audiences. She reports in English and Spanish. During her time at U.S.C., she reported, wrote, edited, anchored and produced stories. 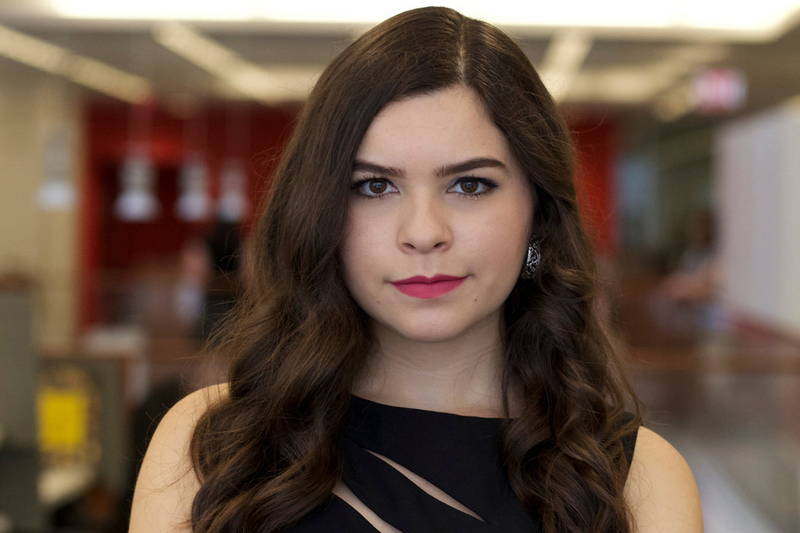 Most recently, Claudia was accepted into The New York Times Journalism Institute class of 2018. Claudia said she was blown away about the opportunity and grateful for the chance to share stories from the Latino community in New York City.